All applicants must first read our "Korean Orchid Award" evaluation prescription carefully. All applications should be submitted by the site's webmaster or owner. Applications are received only from the 1st to the 15th of the month. Sites must be family-friendly and child-safe. 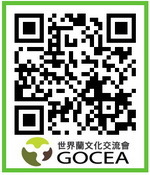 Our award program can evaluate sites written in English, Korean, Chinese, German, Dutch, French, Flemish and Russian. Your site should appear normal in MSIE 6.0+ and/or Netscape 6.0+. Please read our privacy statement before you apply. I will use your name, site title and site URL. If you are a winner, I will use a screenshot of your site. All applicants are required to read all of our criteria and all Rule (Criteria ~ Self-test) before they apply for an award. You will be permitted to see the application page after you have read all of the Criteria and all Rule. - The first page we visit should be interesting enough to make visitors want to look further into your site. - The first page should make clear what you have to offer and that your site is of interest to the general public. - Once we pass the entrance page, clear navigation to all other pages on your site must be present. - Originality and creativity of design is a plus if the applicant is the designer. - The design should reflect part of what you and your site are all about. Let your graphics reflect the theme of your site. - If you use graphics or design templates from others, then you must give credit for the graphics and/or design. - Design should have consistency in background, graphics, menus, navigation symbols and layout. - It's okay for the design to be simple, as long as it is effective in the presentation. - The loading time of a site should be under one minute when using a 128k connection. - We prefer streaming to waiting. - Site should not be full of useless graphics that slow down the loading time. Make sure your graphics are necessary. - Pop-up or pop-under windows take the joy out of viewing your site. - We want to enjoy our visit, so do not have unnecessary pop-up or pop-under windows. Background Music Must Have a Turn-Off Option. - The ON-OFF button must be added when using background music. - It is preferable that the ON/OFF button be at the top of the page. - Content must be well-organized. Your site must allow us to recognize the basic theme(Home garden, Orchids, Flower). - Content must be well-organized. Your site must allow us to recognize the basic theme. - One of the most important things that makes a good home page is originality. - Your site must not consist mainly of other people's material or work. - We want to see something that we have not seen before. - We are looking for sites that have an original writing style and interesting subject matter. - Your writing style and subject matter should be worthy of a bookmark. - Webmaster should show passion for a specific topic - graphics, art, cultural events, excellent photography, etc. - Let us see the webmaster behind the web site. - Site must show that updates have been and are done on a continuous basis. - Make your visitors want to come back by updating regularly and always adding fresh content. - Make sure your visitors have something of interest so they will keep coming back to your site. Otherwise, visitors will skim through your site and not return. At Least Twenty Pages Of Quality Content. - The following is not considered content: guest books, awards-received pages, award program pages (unless site is a stand-alone award program), link pages, FAQs, web ring pages, chat rooms, message boards. - More than 5 spelling or grammatical errors on a page will result in a deduction from your score. Excellent Addition To The Web. - Let your site be an excellent addition to the web by offering things to your visitors such as free graphics, images, web design tools, awards, tutorials, tips, etc. - Avoid excessive use of animation! If you must use animation, limit it to no more than 5 per page. Site Should Be Easy To Navigate. - If you use menus or icons that require downloading before viewing, you should offer a text option. - Your navigation icon/menu should work correctly. - We would like to see easy ways to get back and forth between your main content pages. - Every page of your site must have a link to the home page. Do not make your visitors have to use the BACK button. - If you display links to external sites, then your links should open in a new window. We would like to be certain whether or not we are at your site. - We like to see sites that have a way to contact the webmaster. Having an email link on each page is a great way to accomplish this. - META tags and TITLE tags are very useful -- your site can easily be found with a search engine. - We will use key words that you supply in your META Tags to see how your site ranks in the search engines. - For visitors who cannot load your images, can they see what is written in the ALT tags (or remarks)? - The loading time of your site should be under one minute when using a 128k connection. - We use such tools as Doctor HTML and W3C HTML Validation Service. - Our evaluator inspects your HTML code in detail through the use of these tools. - Your HTML coding must be compatible with generally-used browsers. - External links should not open in your frameset. We must be allowed to leave your frames. Sites that correspond to more than one of the items below will be disqualified. DQ02 - If we cannot consider your site family-friendly and child-safe your site will be disqualified. DQ03 - Sites that do not have "COPYRIGHT" and "PRIVACY STATEMENT" pages. (Music, graphics and photographs must be credited to the author or creator). DQ04 - Sites that do not have an "AWARDS WON" page for the display of awards. DQ05 - Sites with more than 5 missing graphics or images on 2 pages. DQ08 - Sites that disable use of the right mouse button. DQ09 - Sites that use Comet Cursor. DQ10 - Site with a horizontal scrollbar at 800 x 600 or 1024 x 768 resolution. DQ11 - Sites with nothing but links to other sites, or sites that are only one page. DQ12 - Sites whose applicants are under 14 years old (COPPA). DQ13 - Sites with no "SKIP INTRO" button or non-Flash text option on pages that use Flash. DQ14 - Sites requiring a password to view pages. DQ15 - Sites that are difficult to read because of text/background color combinations. DQ16 - Sites that apply between the 16th and the last day of the month. DQ17 - Sites that re-apply before the 120-day waiting period has passed. DQ18 - Sites which are unfinished, under construction or coming soon messages. DQ19 - Those who are hosted with free sites, Geocities, Lycos, Angelfire, Tripod, etc. DQ-20. Site that apply without reading all Criteria. Remarks: The required special word, which you will be asked for on the application page, special word is "NATURE". Applicants that do not type the correct special word in the application or do not read our criteria. (Deducted 40 points in total points). DQ-21. Site that try to apply for the award through our guest book.